This will have to be a long-term project as I don't have the money for it yet, but I'd like (I think anyway) to set myself up with AT equipment. The reason is that I live on Mt. Ascutney in Vermont, which is a ski hill that went defunct in 2010 but is run by a community organization and kept open for people to skin or hike up and access the old trails, which I believe are kept mown in the green season. I live in a condo on the mountain and can literally walk from my front door to the ski trails. (The org. also runs a little rope tow and eventually T-Bar operation, so there is some groomed skiing for kids and beginners as well). For now, I may get some snowshoes and hike up with my skis on a backpack and see how it goes. I have a pair of Volkl 90Eights that I assume would be pretty good for ungroomed terrain. So my question is: long-term, am I going to really want a full AT set-up? Does it make a huge difference to skin up vs snowshoe? I imagine I'll have plenty of time to get a feel for what the hiking version of skiing this hill will be like, but I don't know enough about AT equipment to know how much of a difference it will make. Thanks for any feedback (really: any feedback would be helpful). @SallyCat - First off let me tell you how envious I am of your location. To be able to go out early morning or in the evening before/after work for a quick jaunt up Ascutney....amazing. - The time it takes to put skins on and take them off (which really isn't longer than a couple minutes each)...if it's a really short hike, it may not even be worth the effort instead of just slinging your skis over your shoulder/strapped to a pack and boot packing your way up. 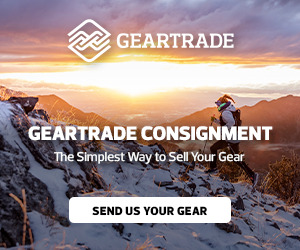 - Will you need separate hiking boots for your snowshoes or can you use ski boots? If you plan on doing multiple laps, not needing to take ski boots on/off multiple times is a huge plus. - If cost will be a defining factor, you could probably find a used pair of frame AT bindings on ebay for a decent cost and put them on your Volkls. Using a frame binding will negate the need for new boots. If your current boots have a walk mode, even better. And if they don't...not ideal, but will get you by. Then you just need skins. If you enjoy it, then you can slowly upgrade as finances allow. Thank you, @elemmac , that's incredibly helpful! You're right that it's getting ski boots on and off that would probably be the biggest pain. Mine don't have walk mode. Would a frame binding work with traditional ski boots? Yes. They're basically a regular binding, built up on a frame that connects the toe and the heel pieces. The frame has a locking device at the heel to lock it down to the ski (and unlock to tour), and a hinge on the toe for walking. The convenience of being able to use a regular alpine boot is a huge benefit of frame bindings. The other benefit being that they ski similar to a regular alpine binding (albeit you are a bit raise up off of the ski, so they do ski a bit differently). Downside of frame bindings: They're heavier than pin bindings and they aren't as efficient hiking. The hinge point is at the front the toe piece (instead of at the front of your boot like in a pin binding), which make your strides a bit more work. For the boots without walk mode, you're not able to hinge your ankle, so your stride is going to be much shorter (i.e. more work). But it's completely doable. I have a friend that started doing short hikes with his regular boots, and he was fine. It's not ideal by any means, but it's a way to get out there without breaking the bank. There are definitely people out there that would say don't waste your time with frame bindings, they're heavy...blah blah blah. Personally, I think it's better to get out there with equipment that's not ideal, rather than not getting out there at all. Thanks for the details and the links! That used set-up that comes with skins is cheaper than a pair of frame bindings. That may be a way to go. There are plenty of ski shops around here, too, where I can try on AT boots and wait for deals. Also, I believe there are places to rent AT skis, so I can try out hiking, try skinning with my own traditional boots, and then see how much I like it and how invested I want to be in it. (*SOLE Skywalk ISO 9523 Touring-WTR Soles – Compatible with tech, tech toe / alpine heel, MNC, WTR and ISO 9523 compatible bindings). Down the road if you were to upgrade boots then you could theoretically enjoy both types of bindings with one pair if and when you wanted to switch to pin bindings for your tour set up. @WaterGirl Thanks! I've been wondering about all of the different types of soles and multi-boot compatible bindings. The mountain is just 1,800 vertical feet, max, so it's a medium-sized hill by east-coast standards. Still, I suspect, as you say, that if I do end up enjoying the experience that I'm going to want the lightest, most efficient set-up. I think I'm going to have to be very patient about figuring out what I want, because it's a big investment. I do have adjustable hiking poles and good backpacks of varying size that have internal frames and hip belts, load shifters, etc., so while the pack will be heavy, it will be well balanced. Back when I was a long-distance backpacker, I invested in a good ultralight set-up because it increased both the fun and safety factors and was well worth the expense. I think I'm looking at a similar calculation here with a touring set-up. Oh, I think my mileage would be comparable! My bank account is running on empty, though, so I think I'm going to have to appreciate snowshoes for quite some time before I can even think about AT skis and/or boots. I'm kind of psyched about it as a way to stay fit in the winter, though. I think my big decision may be whether to go from snowshoes to a high-end set up if/when I can save up the $$, or whether to invest in skis with frame bindings as an intermediary step. I'm not sure which makes the most financial sense. But of course, I need to see how much I enjoy the skiing itself and how often I would realistically use the skis. It IS fun to think about! Oh, my, if you've seen me try to alpine ski you'll know that I have a lifetime of work ahead of me just trying to escape mediocrity in that venue! I'm not sure how much vertical you have at your "home" mountain . . .
Ascuteny clearly has some great trails from a northeast perspective. Couldn't see the top of the mountain when I stopped by recently, but clearly going to be more set up for the 2018-19 season once the new lodge is finished. @marzNC yes, Ascutney is hopping with improvements this summer, and I can't wait to see what the winter brings. I understand that there's been a commitment to not providing lift service beyond mid-mountain so that people can enjoy hiking/skinning to ungroomed trails. It remains only to hope for a good snow year! I went through all this a couple of years ago. I was interested in touring but hadn't done much of it. I was replacing my all-mountain skis anyway so I bit the bullet and put frame style touring bindings on the new ones. I borrowed skins for a while and eventually bought some when I couldn't borrow. I used my old boots with those for a couple of seasons until they needed replacing, at which point I bought AT boots too. Now I am at the point where I am considering replacing the frame bindings with something like the Kingpin, or the new Tectons. I use this set-up front-side too so for me it has been an incremental upgrade rather than buying everything all at once and it wouldn't have been too much of an expensive experiment if I hadn't taken to it. Regarding poles, I actually don't like adjustable poles (although that is what I am using at the moment). I borrowed some from a friend last year that were one-piece but with grip covering the top third, so that you could shift your grip up and down without having to stop to adjust the pole length - so much more convenient! I'll be looking out for some of those for myself next season! I would also agree with the comment above that for me skinning up would be far preferable to snowshoeing while carrying my skis! 1. DOWNHILL - Frame Bindings and an older pair of skis you like = I think I want to get into slack/side/back country, but I don't want spend a lot of money, I want more down hill performance, and I'm not sure if I trust pin bindings. I'm having a great time dropping off the backside of my home mountain and being able to get back in bounds by touring up. 2. MIX - I'm beginning to appreciate the up and the down. I don't want to sacrifice my down hill skiing, but I'm ok compromising with maybe a bit of a softer boot thats better on the uphill than my alpine boots. I'll invest in a pair of Scarpa's and some light weight skis with pin bindings. I'm starting to get addicted.... I'm enjoying a 6 hour tour with some sweet down hill runs. 3. UPHILL - I'm in love with the the adrenalin of the uphill, its a challenge and I need the lightest weight skis, boot, and carbon everything- poles/avy gear. My skis are really skinny and light and I just bought my first Skimo speed suit - my transitions are lightening fast! Its all about the miles and up, I'll come down, but after a really long day of skinning for miles. So that leads to one final question - not sure how much snow you get or what degree of steepness you have on your mountain, but does everyone who tours have avy gear? or has taken an avy 1 class? I'm not sure if anyone has mentioned this yet - but renting AT gear is also a great way to get a feel for what you like/prefer. Is that available near you? I only went out a few times last year, and rented gear for each time because I have just started touring and am not sure what I want to commit to gear wise yet. Absolutely; I was at the bike shop yesterday (Paradise Sports in Windsor) and asked that very question. It turns out that they will indeed be renting AT gear this winter, so I am absolutely going to take advantage of that. It's very exciting because I think that most New England AT rentals were only available up in the White Mountains, which is a haul from here. So in-town availability is a real boon. Funny, I watched a Shift video this morning. Seems like a lot of moving parts. How does all that adjusting work when your on a steep for transitions? Based on other Diva's comments about DINs it may not work for some as the lowest DIN is 6. May be better for those who need a 13 DIN. @pinto have you tried the Shift? if so do you feel a marked difference between that and say a Dynafit Radical ST 2.0? You know Burton came out with the new Step On bindings this year - DH couldn't wait to see if they rivaled the old school switch bindings. I sold them on eBay 3 weeks after he got them. Seemed like a good idea, but still needs a lot of work. Thanks also, @WaterGirl for the really helpful breakdown of the different types of bindings and types of people who use them. That was great!